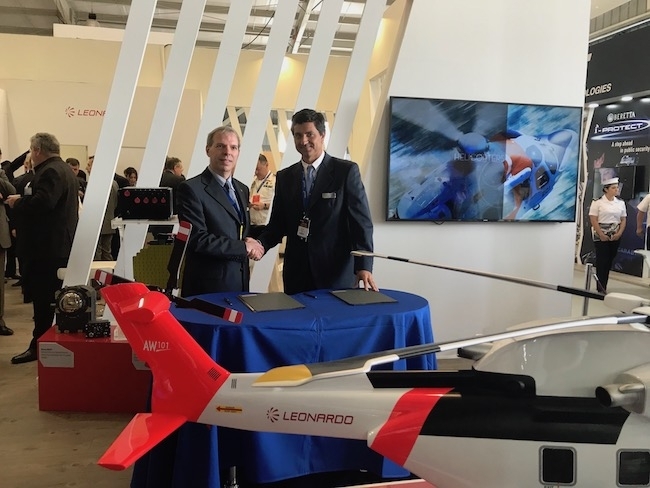 Leonardo has announced that Aerocardal Limitada has been appointed an Authorised Service Centre for its helicopters in Chile. The announcement was made during an official ceremony held at FIDAE 2018. Under the agreement, Aerocardal Limitada will provide comprehensive support and maintenance services from its base at Comodoro Arturo Merino Benítez international Airport, for Chilean owners and operators of AW109 light twin-engine and AW119 single-engine helicopters.